Get all 14 April games including Opening Day for just $49! Back by popular demand, the Red Wings Early Bird April Pack! Celebrate the return of baseball at Frontier Field with the Early Bird Pack - a ticket pack which allows fans to attend all 14 April home games - including Opening Day -- for just $49! Fans who purchase the pack will be able to sit in ANY SECTION for $49 - a savings of OVER $130! Even if Mother Nature doesn't cooperate, rainout tickets from the Early Bird Pack can be exchanged for any of the Red Wings home games in April or May. 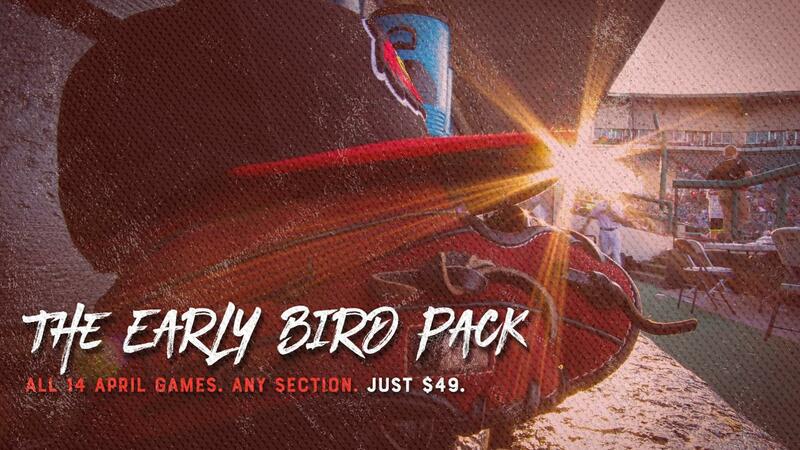 One of the best deals at the ballpark, the $49 Early Bird Pack is only available for a limited time. Please call (585) 454-1001 with any questions regarding this ticket offer.